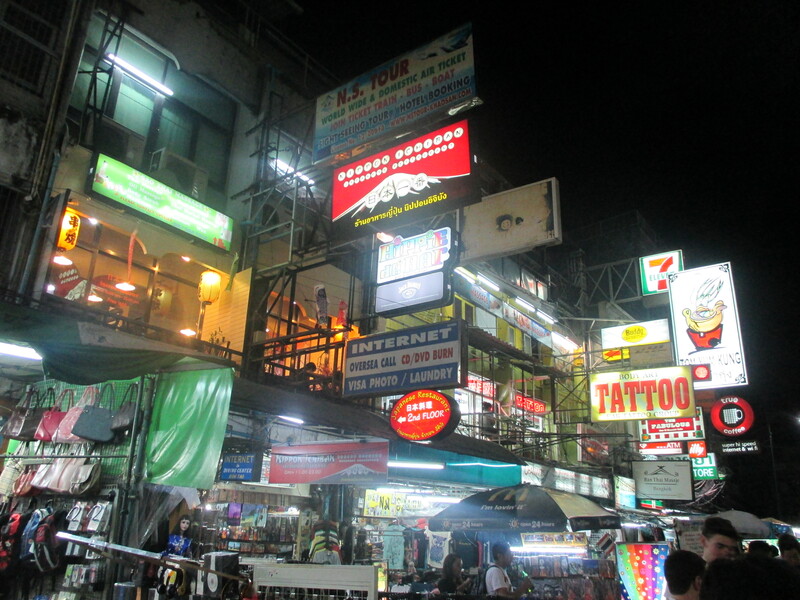 Khaosan Road in Bangkok reminds me of Times Square, a congregation of tourism in both its good form and bad. Instead of just street vendors selling shirts, trinkets and photos with Disney character knockoffs you have vendors selling scorpions, food of all sorts on sidewalks that have become restaurants and in certain areas ping pong shows are readily available. Bangkok is a city where there are rules but many of them seem more like suggestions than something you have to actually follow. It is a city of contradictions where for the right cost you can have anything to sheer or live on very little (compared to western standards). 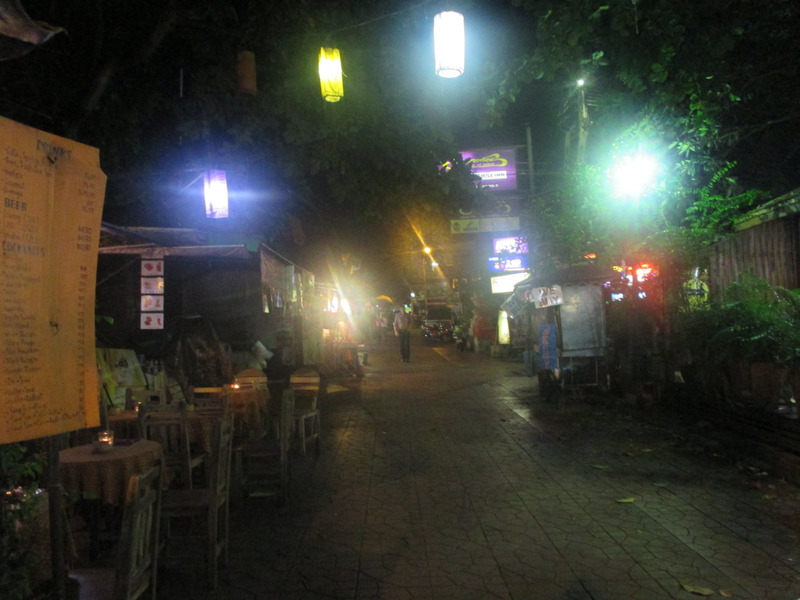 In Khao San you have a central meeting point for all the world’s wanderers, travelers, and nomads looking for a place to put there feet up or want to hit the ground running. Food and drinks are cheap compared to western standards but alcohol is relatively an expensive affair if you prefer the imported kind. Go for the local flavour like Leo or Chang Beer which is generally cheaper and not half bad. Khaosan is an onslaught of the senses when you first arrive, for Australians its what Mexico is to Americans, a place to party. For backpackers Bangkok is one of the best Southeastern Asian hubs to fly into and Khaosan road acts as a place to meet up with your fellow travelers who are also wandering through. 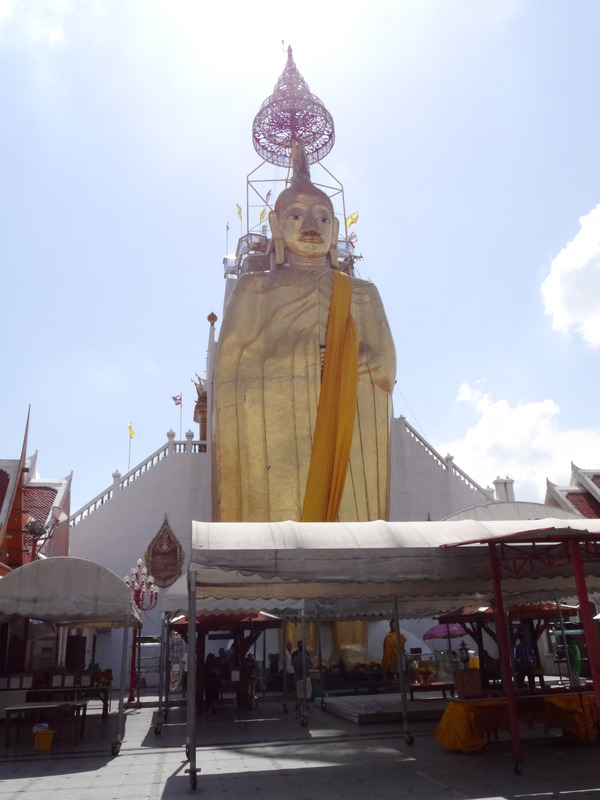 Around Khaosan there is the Big Buddha which every tuk tuk driver will gladly take you to, The Grand Palace and The Golden Mount otherwise known as Wat Saket. They are good to travel with once but in general just grab a taxi and make sure they turn on the meter and its usually way cheaper. 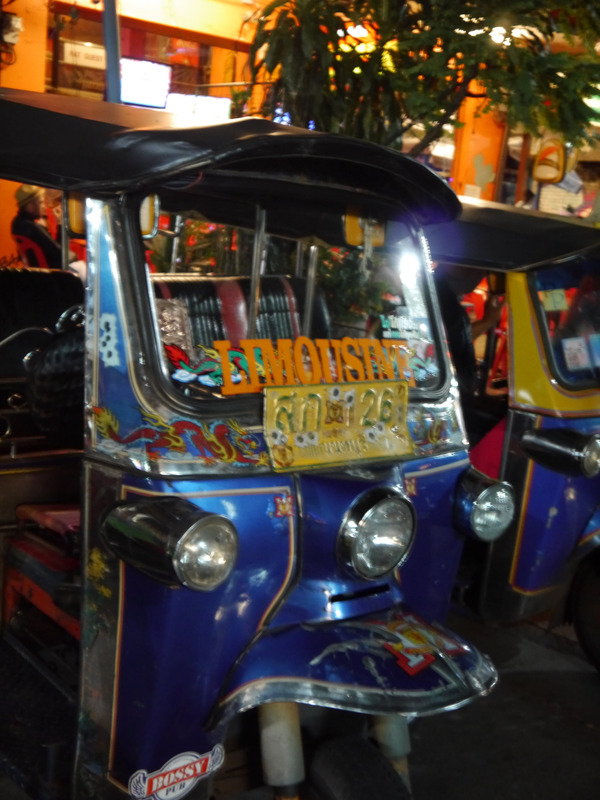 You end up having to negotiate with the tuk tuk drivers and have to be careful as they will bring you to what they call a tourism centre but is really a booking place as well as certain stores where the people are going to push you to buy something. One of the reasons they do this is because they give the drivers a gas coupon for shepherding people to these places. Just make sure you know what your getting into. I ended up buying a custom shirt with a mandarin collar but although I was mad at myself for buying it but the end of the day it was a shirt I’ve always wanted. It is the one item I will buy for myself this entire trip. It fit like a glove when they sent it to my hostel the next day so I can’t be too upset but just be careful if you use a tuk tuk. Khaosan is a microcosim that is designed for tourism but doesn’t reflect the truth of their culture. Food in the restaurants is hit or miss. You will overpay in a restaurant compared to what’s available on the street but the quality of some of the ingredients is likely to be higher. When you buy street food you have to always watch out. You don’t want to get the pork kebob that’s been sitting there for half an hour. The safest meal on the street beyond fruits is probably anything with egg because it’s prep is as stupid simple as it gets and doesn’t spoil or can become bad in the same way shrimp, chicken or any other meat can in just a few hours of being out there. 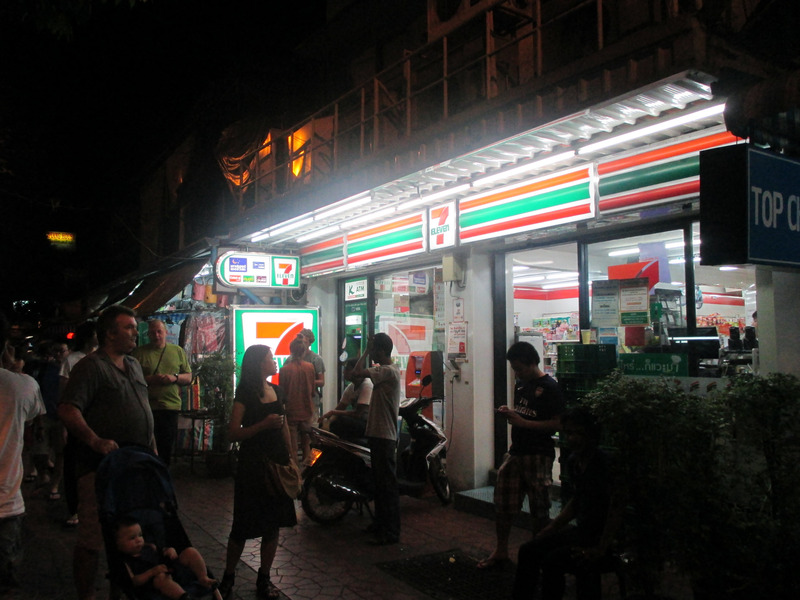 7 11 will soon take over all of Thailand, in Khaosan alone there were 6 within a 2 block radius, most small but a few less cramped ones close by. Good thing about Thailand is that there are 7-11’s on almost every block, they don’t charge any tax so the price you see is what you pay. Bottled water is cheap and easy and snacks are a plenty, get local snack food first of all its something different. More importantly because they are significantly cheaper than the international brands you all used to. Get it whenever you get the chance because you’ll need it once the heat hits its peak in early afternoon. Khaosan is something else, it doesn’t really represent Thai culture but it does tourist culture and you will hear more languages and see all sorts of people looking for a good time or maybe a scorpion to eat (if they are drunk and to cross of their bucket list). 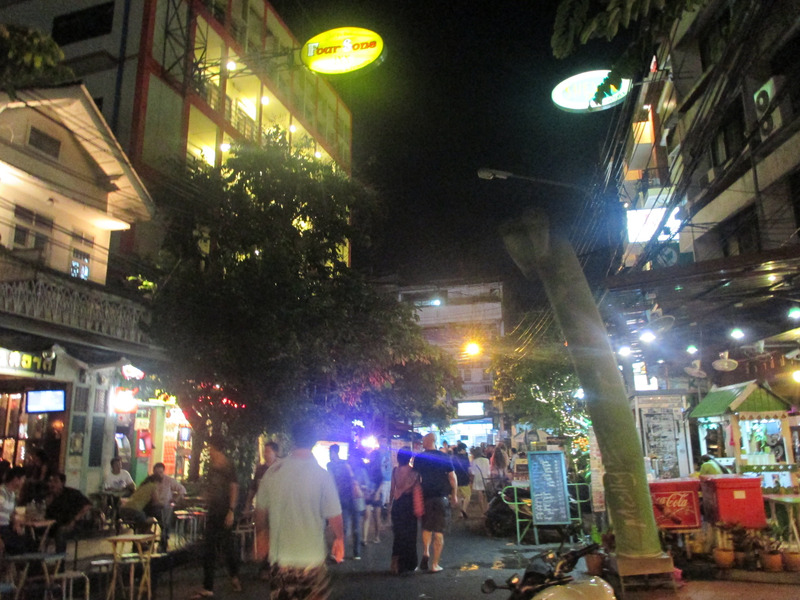 Last night I walked the road and thought Khaosan makes for an interesting thing, it feels like a self organizing system based on implied rules rather than an edict from any sort of governing body. They never check ID for alcohol, stalls sell everything you can think of, and food is plentiful. 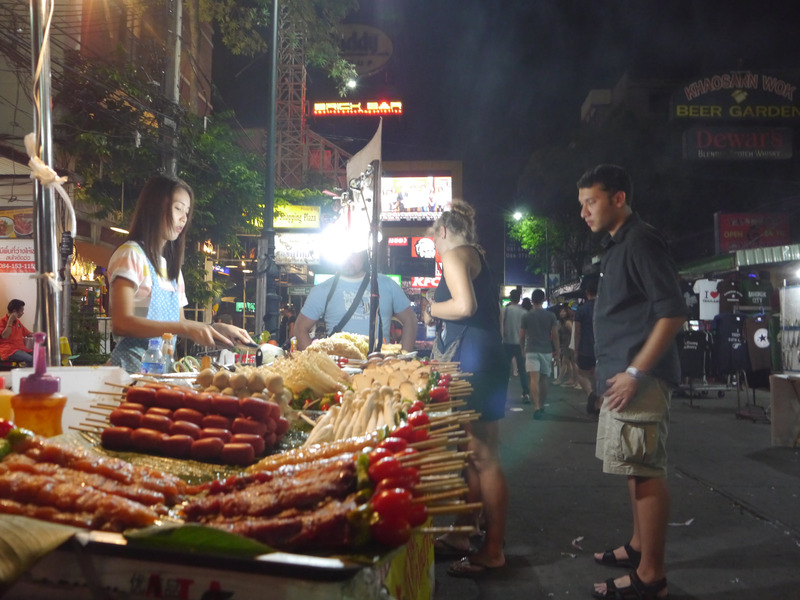 If you want to save some BAHT then eat on the street because it’s always cheaper than at a restaurant. You will find Pat Thai being sold to you every few meters, fruit, ice cream and all sorts of goodies that you can partake in for under 50 BAHT, which is just under $2 in US currency. It is a place to experience the party people from Australia, meet many a backpack and see tourists looking for the oddities to their known reality. Chaos at Khaosan, no rules and no few restrictions where rules are more a guidelines that have too follows. Not sure I would come back hear too often but it was worth the trip. Khaosan has the luxury of being in a great location with easy access to many historical sights, it is not connected to the MTS or sky train but there are buses and a taxi is so cheap that you shouldn’t have a problem getting there day or night. The core area of Khaosan isn’t that big but as the tourist season swells it grows. I came during the off season which is still busy but there were entire streets with bars that we relatively empty, waiting for the high season to bring the crowds their way. So as I say good bye I welcome a chance of pace and a chance to get lost somewhere else.